Your words can change your finances. Words are the most powerful things in the universe today. They can defeat you or they can bring you life. They can make the difference in your finances and your well-being. God created the universe by speaking it into existence and He has given you that same ability. 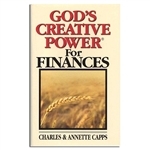 Learn to turn your financial situation around by following the powerful principles of faith contained in this book. Don’t live another day in lack – start releasing the ability of God through faith-filled words! How does quantum physics relate to the Bible? How did Jesus supersede the laws of physics? 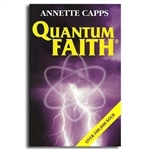 There are amazing similarities between the teachings of Jesus and the discoveries of the new physics, quantum theory. The concept of speaking to mountains and trees may not be religious metaphor, but laws of a new physics that have not been fully understood. In this book, you will discover that your words and your faith (beliefs) are unseen forces that affect everything in your world. You are the one giving substance to your world through words! 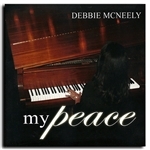 Join Debbie McKneely on a musical journey, into the presence of God. A place where you will be filled with His presence and find rest for your soul. 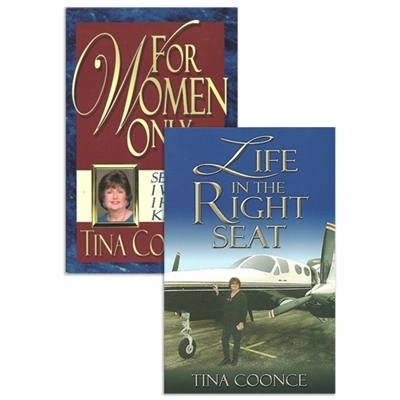 As a licensed pilot, Tina Coonce flies with her husband, Garth to oversee the ministry of TCT, a Christian television network with stations across the nation. Her place in the cockpit, however, is not as the Pilot-in-Command -- it is in the right seat, assisting Garth in every way possible. In this book, Tina gives you a behind-the-scenes look at the birth and growth of a dynamic television outreach. 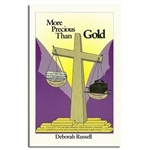 You will read what she has discovered concerning the role of a woman in a Christian family. Are you longing for a spiritual transformation in your home? Is there a situation in a relationship which seems beyond your power to solve? Are there disappointments in your life that need healing? Whether you are married or single, this timely advice will provide the answers you need and renew your passion and propose. The secrets to a happy home. Lessons from the sons and mothers of Israel. The role of women in ministry. How to restore a broken relationship. By Stacy Pasoni "The Healthy Hippie Chef"
Low calorie, nutritious recipes that are MEATY enough for a man yet light enough for a lady. In The Study Bible for Women, you'll join a host of other women, all academically trained in the original languages of the Bible and passionate about God's Word, for an intimate dive into Scripture that will equip you to unlock the riches and majesty of His Word, and ignite a passion to mentor others in your life to do the same. Features include extensive commentary notes, word studies, answers to hard questions, doctrinal notes, Biblical womanhood articles, character profiles, Written on My Heart applications, extensive book introductions, presentation pages, in-text maps, charts & timelines, full-color maps section and concordance. 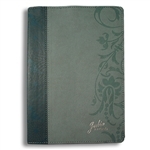 This leather bound Holman Christian Standard study Bible for women is embossed with the Julie & Friends Logo and signed on the inside cover by the cast.